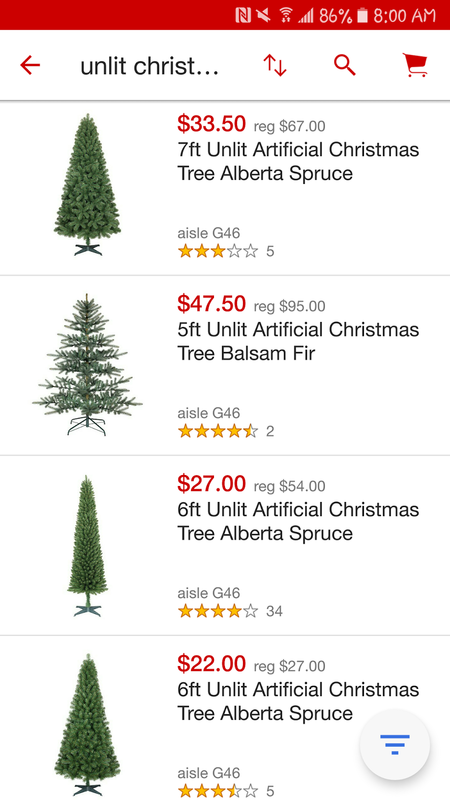 Christmas Trees as low as $13.50 at Target! Target has s bunch if their Christmas treeshopping online that are priced really great. I just bought a 6ft unlit tree for next year for only $13.50! 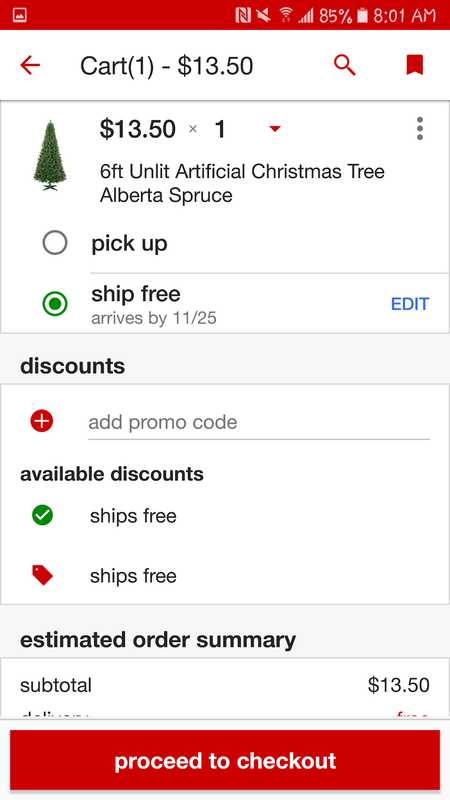 Some trees will get cheaper when you add them to your cart. If you scored a cheap tree from Target, let me know in the comments below!